A former Church of Ireland College of Education (CICE) lecturer has spoken in detail to The College View about the difficult circumstances they and colleagues have endured over the last year, following the closure of the college’s premises in Rathmines and its subsequent amalgamation into DCU. Protests took place last month outside the college’s former premises over issues raised by the CICE Staff Support Group which include termination of programmes, lack of notice as to the college’s closure, uncertainty over contract hours and the elimination of autonomy and professional benefits for full and part-time academic staff. The lecturer, who maintained their right to anonymity over fears of being singled out for retribution, said the demonstrations could signal “just the beginning” if resolutions are not quickly identified, noting that the group’s anger lies with the idle mismanagement of the CICE Board of Governors, headed by Archbishop Michael Jackson. “We were protesting for a number of reasons”, the lecturer, who is now a DCU staff member, said. “We were protesting against the speedy closure of the college, which was humiliating. A lot of staff were discommoded and they were moved out of their office within 24 hours. Some didn’t even have codes to get back in. “I had to come back a week early from my holidays just to clear out my office because we were given such short notice. It was very humiliating for everyone concerned. We had a lot of issues with the college management, the chairperson of the Board of Governors and the governors themselves. “They just treated people very badly. 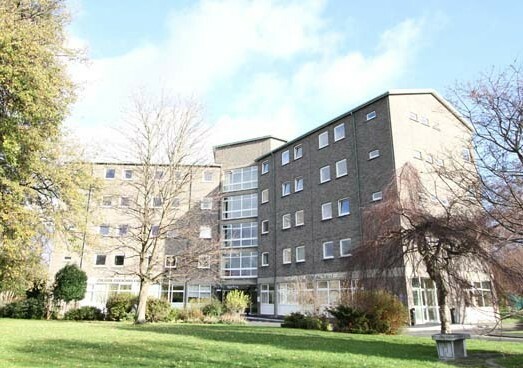 Some of the staff members who had been living on the premises were very badly treated and a lot of the staff just felt very poorly represented in all of the discussions that went into the closure of the college and the movement of the students and staff into DCU. In response to the protest, a statement on behalf of the CICE Board of Governors said they had anticipated issues arising following the move, but that it had sought to keep staff reassured through updates and regular consultation during the transition into DCU. “They have given us some information, but it is nothing you could possibly constitute as consultation”, the lecturer said. “I found the Archbishop’s statement wholly disingenuous in respect of the representation of the staff in the transfer process. “He made some remarks about the exemplary way in which students are currently being treated — the students are entirely unhappy with the way they have been treated. “The administrative support they had in CICE have not transferred at all. There were a lot of aspects of the statement which didn’t surprise anybody because most of the statements have been of a similar, condescending vein. If they think this whole issue is going to go away, it’s not. Archbishop Jackson declined the opportunity to comment on the matter.